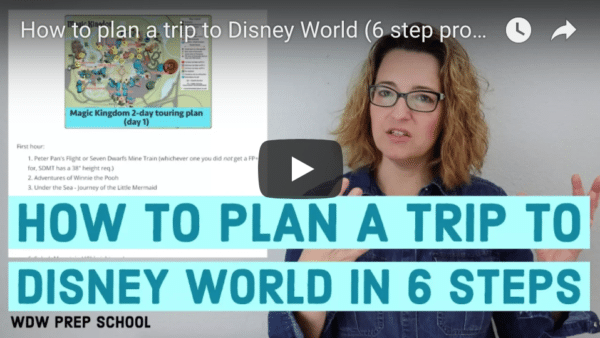 Looking for something special to do at Disney World? 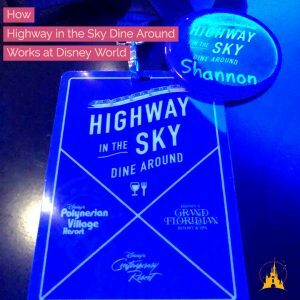 Highway in the Sky Dine Around event might be just the thing. Get all the details on what it is, see a photo tour, and find out who is best suited to attend. What is the Highway in the Sky Dine Around? How can it be booked? This event is a 5 course progressive dinner that takes place at the monorail resorts near Magic Kingdom. Think of it as a food and drink monorail crawl. This event is available most Monday-Thursdays and starts around 6-7:00 p.m., depending on the time of year. You must be at least 12 to attend, but 21+ would be even better since a big part of it is the drinks they serve with the food. The cost is $170 per person plus tax. You can't use Disney Dining Plan credits to pay for it, and there are no discounts available. The price includes gratuity and, if you're driving, valet parking is included in the cost as well. You can book this event online up to 180 days in advance. The menu is seasonal so it is always changing. Look at the info and pics below to see how it worked during a recent event. Yes, this is 1 of the few times at Disney World that there is a dress code. Not permitted: tank tops, flip-flops, swimsuits, swimsuit cover-ups, hats for gentlemen, cut-offs, torn clothing and t-shirts with offensive language and/or graphics. They keep the number of participants pretty small. During a recent event, there were about 24 of us in the group. The first thing you do is check in at least 15 minutes before the official start time. The check-in location is at The Wave on the first floor of The Contemporary Resort. They have a little room off to the side that's designated just for this event. At check in, everybody gets a lanyard and button to wear throughout the evening. Then when it is officially time for the event to begin, food and drinks start to arrive. First up, peach whiskey ice tea which tasted a lot more like peach tea than whiskey. Delicious. That's not a normal menu item at The Wave, but the proprietor said if we wanted to come back and request it they'd see what they could do. Side note for food allergy people: you note your food allergies before you arrive so they have alternatives all evening for people who can't eat the main items being served. After spending some time there, we headed to the monorail for our next stop. You spend about 30 minutes at each food/drink location for this event. One of the perks of being a participant in this group? You get the first car of the monorail each time. Our part of the group was put in this private dining room where we got plenty of time to chat with other people in the group while drinking wine and eating delicious food. I may have made a Citricos dining reservation for later this year while sitting there. Super impressed with the wine, food, and service. Then it was time to head out on the monorail for 1 more stop...fireworks view from The Contemporary! This was a section on the 5th floor balcony area that was designated just for us. On our way out, we got this cute box of chocolates as the perfect way to end the night. This was a really fun event that combined some of the best food and drinks at Disney World with fantastic Cast Members who joined in along the way (the restaurant proprietors, the ukulele player, the guides). The size of the group is also just the right number so that you feel like you can kind of get to know everybody throughout the night. Everybody in our group was an adult age 21+ who was a big fan of Disney World, had previously done lots of other things, and was looking for something new. And based on those I spoke to, everybody seemed to really love it, including me. I think this event is best suited for small groups who want to do something together, solo travelers (because it's really easy to talk to other group members so you don't really feel alone), and couples looking for a date night. For people needing childcare, the only remaining onsite care (Pixar Play Zone) happens to be located at The Contemporary and would be perfect for doing this event. Even if the Highway in the Sky Dine Around starts at 6:00 (the same time Pixar Play Zone begins), I'd do it. Pixar Play Zone begins registration at 5:00 and the dining event remains at The Wave for 30 minutes after the event start so the timing would work out fine. If you're a couple, maybe have 1 drop off the kids and 1 head to get checked in at the event. 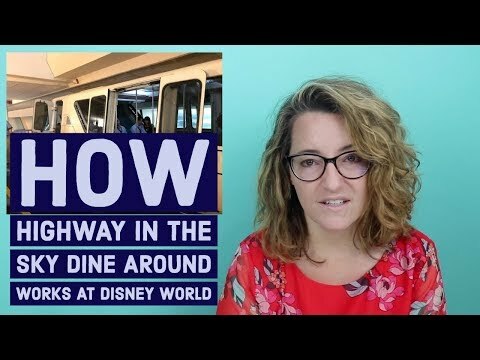 So that's my overview of Highway in the Sky Dine Around. Is this something you'd consider? Or do you have questions? Feel free to leave them in the comments. Love this idea for a solo trip! Planning another one this year and can’t wait to put this tour on my list! My brother and I have been visiting WDW since the 70’s. We are not fish eaters, but would really love to enjoy this event. Are their other options besides fish? Hi there! Planning to book this as a birthday surprise for my partner. Do you have to pay upfront, or do they take payment on the day? Or add it to your bill at the end? Do you think this trip would be worthwhile for adults who don’t drink but who love to eat and have new food related experiences? Is the food alone worth the price? My boyfriend and I think it sounds fun but neither of us drinks. Are non-alcoholic drinks readily available on like a drink menu, or does a drink just come with the meal? Is there a way to let them know beforehand like there is with food allergies? Also, just out of curiosity, did you notice if there any non- drinkers in your group? Sometimes it can be a bit awkward to be the odd ones out, especially when others question you about why not, so it’d be nice to know if this event is regularly attended by 21+ non-drinkers. Thanks! This sounds like such a great night at Disney! Especially for those traveling without kids. What a fun grown up treat! I am a total foodie as is my hubby so this is perfect. My husband and I went in June. It was a great date night. The food is not what we would normally order, and that is what I liked. We got to expand our horizons. We are not fish eaters and there was a lot of fish. We tried everything and did not go hungry! The small group was great. Everyone was very pleasant. I was surprised by how many were DVC members, as we are not. Citricos was fabulous! I also think the price was fair. We can’t wait to try it again!! Yep! All the drinks shown were included. We have this booked for our Oct/Nov trip and I can’t wait! I just booked this for my a date night on a trip where we won’t be going into the parks. Now I am even more excited!